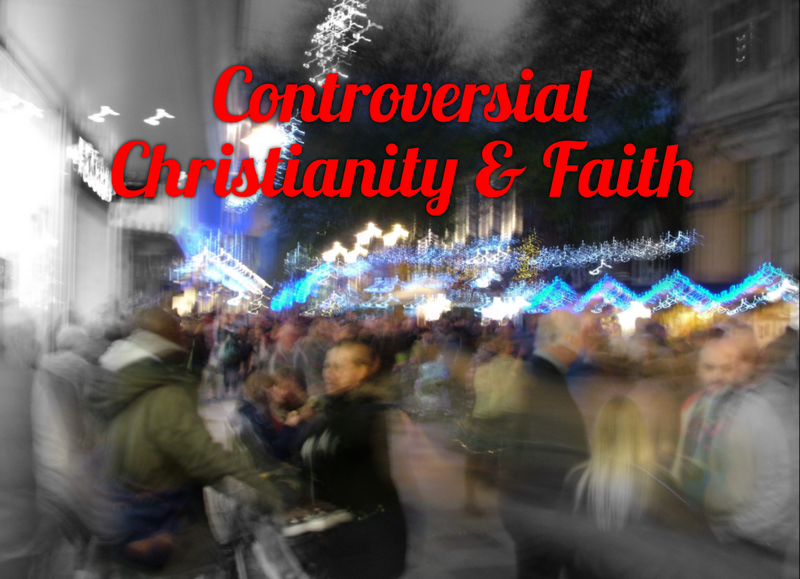 Controversial Christianity & Faith: Was Margaret Thatcher an Anti Christ? This is certainly something that all Christians will have to think about, sooner or later. I don’t really mean thinking about Mrs Thatcher, I mean all this stuff about the Beast and antichrists and all that malarkey. Partly because I think it is obvious that we are in the End Times, although some may disagree, and also partly because Revelations in the Bible seems to be a very misunderstood book, and also one that has been often completely misinterpreted throughout history and also in recent times, too. It seems that it is so easy to misinterpret, or so hard to understand that I sense many Christians really don’t want to read it or really be bothered with it, which is a shame. I think it is one of the key books of the whole Bible, and probably pulls the whole story from the very beginning right to the very end. Stark and brooding indeed. Now, I have to admit something. I wasn’t the greatest fan of Mrs Thatcher if I am being perfectly honest. I’m not alone in that view. I don’t think she was a particularly loveable woman, even though she definitely had strength, charisma, drive and was very principled, though many of us felt that all her principles were wrong. Way out of kilter. You can hold very deeply held principles after all, but they can still be completely wrong very deeply held principles. Abroad she was seen as a very strong politician, just like Gorbachev was seen as a very strong politician the further he was from Russia. 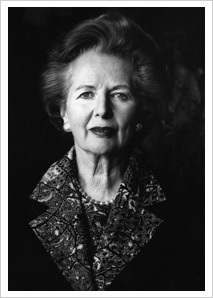 But in Britain Mrs Thatcher was seen as either divisive, vindictive, prejudiced against working class people and their solidarity, determined to push through neo liberal economic ‘free market’ policies and abandon any kinds of social checks and balances that kept British, but particularly English, democracy fairly balanced and reasonably equitable, or she was seen as progressive, forward thinking and a necessary catalyst for change in a backward and stagnant economy. I think of her in the same vein as Elizabeth the 1st, or Cecil Rhodes, or Oliver Cromwell and strong people like that, empire builders and great generals, people who are often seen more fondly or looked at a little more wistfully with the obvious hindsight of history and the sharp edges smoothed off. But, does that make her an anti Christ? And, just what exactly is an anti Christ when she or he’s at home anyway? I believe that the key word firstly is antichrists and not some one individual antichrist. This is often where people who haven’t really read the Bible, nor studied or prayed about what they have read make mistakes and then make false assumptions thereon about what they have read, or what they think they have read, and then of course the utter confusion of so many different people claiming to know what this means or that means in the Bible, particularly when it comes to End Times theology. A veritable industry has grown up around this in America, and I have heard about some of it, regarding the rapture, although admittedly I haven’t read any of the books doing the rounds. I do believe that if we as Christians want to understand Revelations and all the End Times theology, we need to read it without prejudices of what we may have heard outside the Bible, even if claiming to be biblical, and we need to pray about it and study it with an open but also focussed mind. God wants to reveal something to us. Why do I think Margaret Thatcher was an antichrist? Because she presented herself in an almost quasi religious light when the Conservative party was voted in, in 1979 and quoted Francis of Assisi’s famous prayer, ‘Where there is discord may we bring harmony...’ etc. To many, she seemed to bring the exact opposite of what the prayer was. And, she was a ‘devout Methodist’ or certainly claimed to be. What exactly is an antichrist and what would an antichrist do, and/or represent? I think that an antichrist would be a counterfeit messiah, not necessarily someone pretending to be Jesus, although that has happened and may happen again, but someone who comes along promising complete solutions to all the problems at a particular time. In recent history, we saw this with Hitler, Stalin, Mussolini and Franco particularly, men who came along with a religious zeal promising either to change everything radically, or to uphold what they claimed was law and order, or a bit of both. What happened in those cases many of us know only too well. Their religious zeal, combined with dreadful Machiavellian political machinations caused more death and suffering and atrocities in such a short space than at any time in history. Hitler was actually believed by some to be a German messiah sent by God and was worshipped by some children as a god. I’m sure that many more didn’t believe he was literally a messiah, but millions of Germans believed that he was the answer to their woeful economic and social problems. This I feel is one of the major aspects of an antichrist, someone who seems to offer perfect or radical political solutions in desperate or extreme times, that some people feel uneasy about but many others find irresistible because of what they say or how they say it. We know, as Christians, that the world is in the power of ‘the enemy’ so we have to hold on to God and His promises and we have to be obedient to God, not the whims of the world or our passions or faulty ideals, nor fear the future or worry about whatever negative circumstances we presently live in. We have a mighty God that can deliver us from all evil and suffering and seeming inevitable harsh realities. Just have faith. I say again, just have faith. I like what you said about not being so involved in political stuff but to be more of a spectator. My husband often reminds me that the Bible says we are “ambassadors for Christ” and ambassadors never involve themselves in the politics of the nation they are visiting. We are simply here on God’s errand, representing another kingdom. This world is not my home. I agree Susan, yet at the same time I struggle with this, too. Her evil spirit has been passed to the feminist movement who fight constantly to be allowed to kill their own children -- back to the Molech Baal days of the old testament. Her desire for genocide of blacks birthed the Planned Parenthood movement. Now it's become the market place of body parts -- can humans get any sicker than that? Yes, the same evil spirit survival of the fittest will destroy the elderly with the same genocide mentality next. I've actually given up on politics and won't even go on political sites anymore. The world that stands apart from God won't change, but we can hold onto God's promises, whatever winds blow.